Jessica Kemper, coordinator of the U’s Edible Campus Gardens, shows off produce from this season’s abundant harvest at their garden east of Pioneer Memorial Theatre. 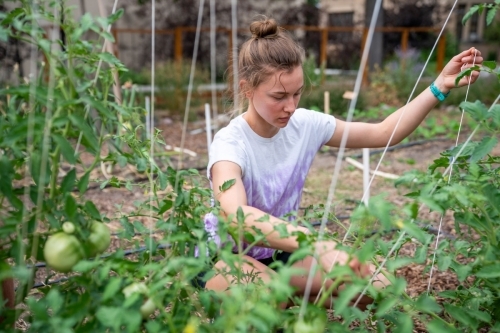 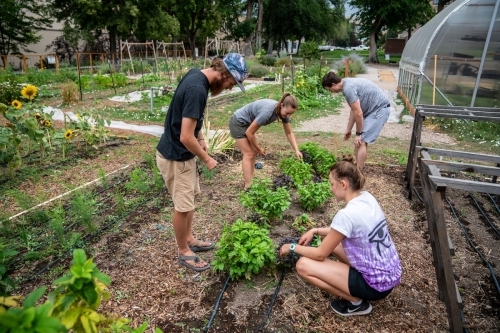 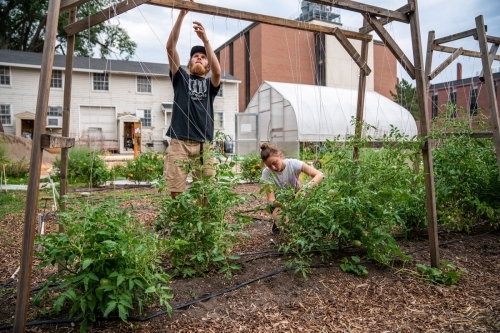 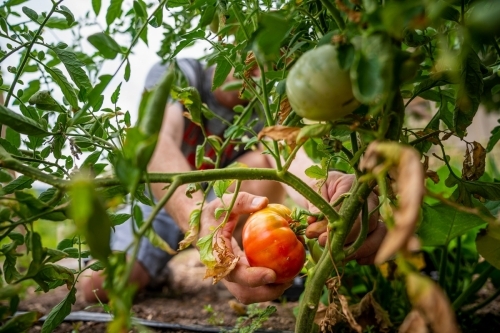 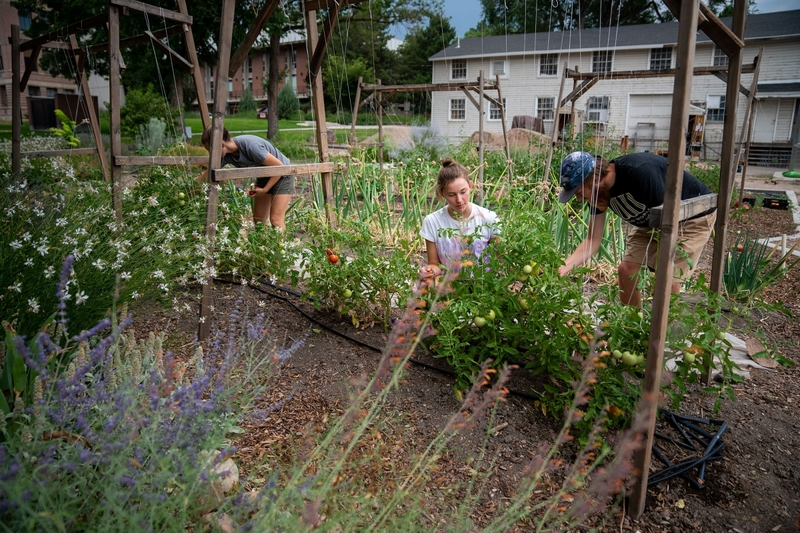 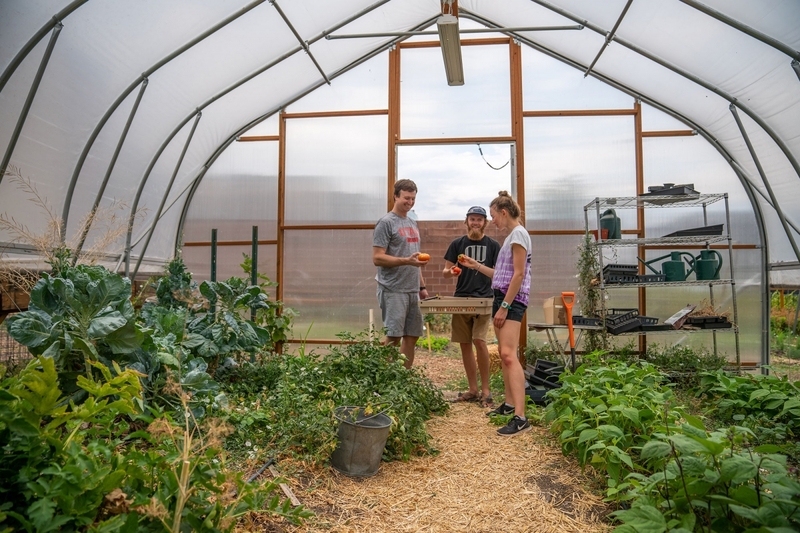 Kemper helps organize more than 75 student volunteers, who work shifts year round composting, trellising, weeding, planting, and harvesting at both the Pioneer Garden and their plot by the Sill Center. 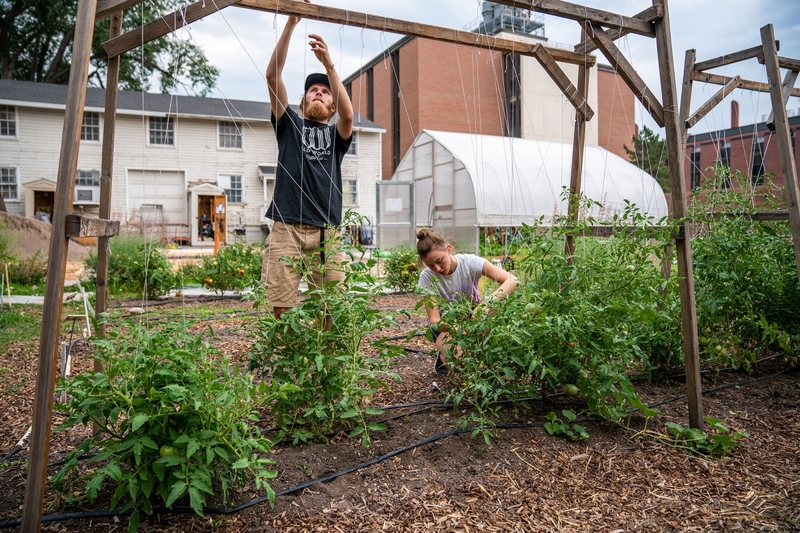 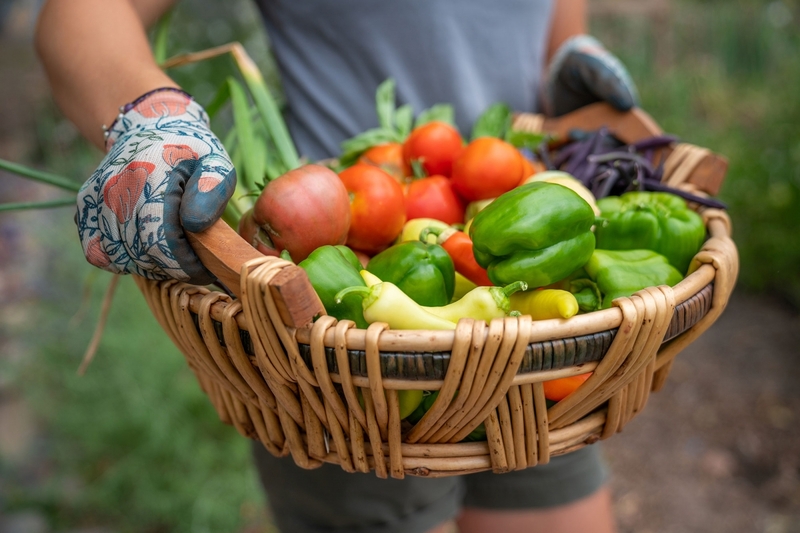 Come fall, there is enough produce to donate to the Feed U Pantry, share with volunteers, and sell at the U’s Farmers Market, which takes place Thursdays just west of the Union Building from mid-August to early October. 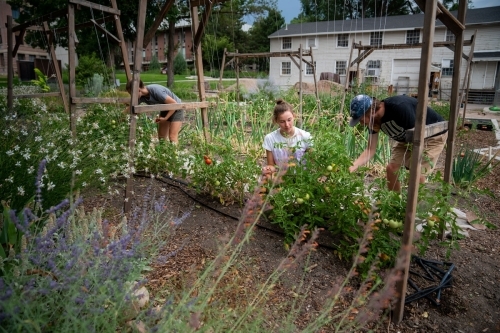 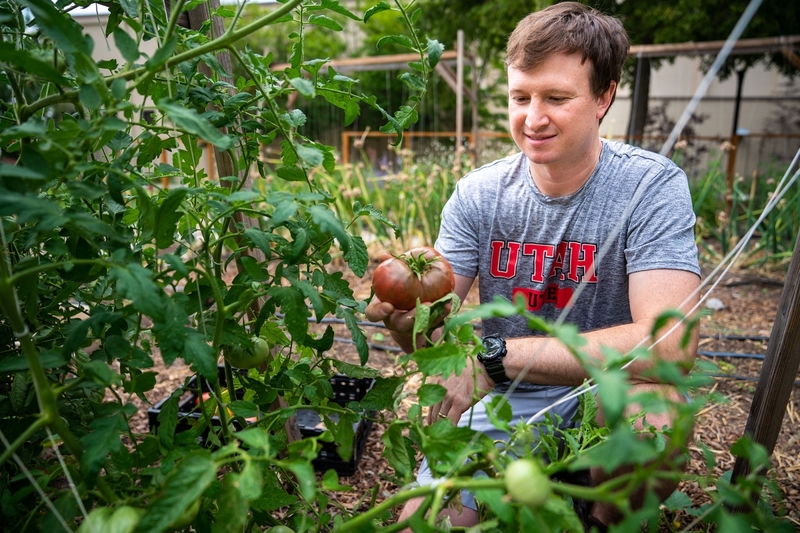 Campus Scene: Good to Grow	The U’s Edible Campus Gardens volunteers grow produce and flowers at plots near Pioneer Memorial Theatre and the Sill Center.